The Legend of Sleepy Hollow is a Halloween staple in our house. 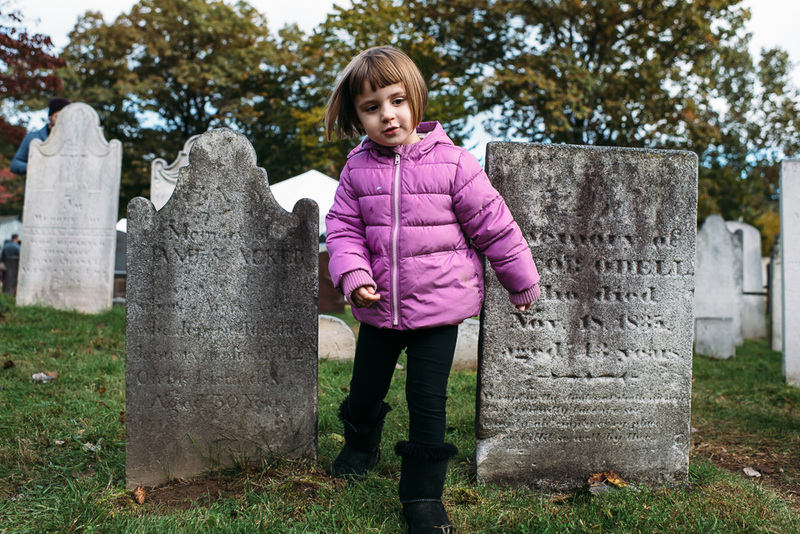 The kids watch the cartoon version each Fall and so it seemed like a perfect weekend adventure to take them over to Sleepy Hollow, NY while my in-laws are visiting. We watched a wonderful retelling of the story inside of the Old Dutch Church (the 45 minute story/ show is great for adults and children; it kept our 9, 6, and almost 3 year old entertained!) and wandered around the cemetery and town.